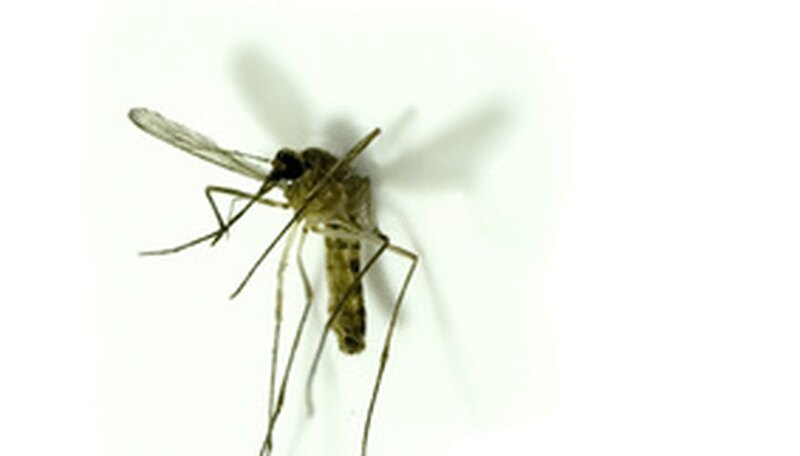 Mosquitoes can put a damper on any picnic or outdoor event. Not only do the bites they leave behind cause a terrible itch, but they can also transfer diseases to their human host. If you are planning a day or evening outdoors in warm weather, you will want to be armed with a homemade insecticide that has the power to kill mosquitoes. This insecticide is safe to use around children and pets. Pour the water and dish soap into an empty spray bottle. This is the base of the insecticidal spray. Add the Neem oil and the eucalyptus essential oil and stir. Neem oil is a natural insecticide, and the eucalyptus oil acts as a repellent. Spray directly on any mosquito you see, or the area where you plan to have a picnic. The mosquitoes will die instantly, and the smell of the spray will keep more mosquitoes from coming to the area. Repeat as needed. You can use citronella essential oil instead of eucalyptus essential oil if you prefer. Remove areas of standing water; they are breading grounds for mosquitoes.